We do our best to make your child's procedure as comfortable as possible! We implement a progressive treatment method to help ease children’s fears. Children's Dental Group of South Carolina is committed to creating the most comfortable environment possible for our young patients and their parents. We happily offer sedation dentistry for children when needed. Adult sedation dentistry has grown in popularity over the last fifteen years and was developed as a way to reduce or eliminate much of the fear or anxiety many adults experience upon visiting the dentist. Sedation dentistry for children is uniquely tailored as a treatment for children ages 3 and up. This discipline allows our appropriately trained general dentists to create safe and comfortable dental experiences for children who have avoided the dentist out of fear or simply an inability to sit still for multiple appointments. Our general dentists have been trained to implement sedation dentistry for children effectively and are able to help our patients become as comfortable and relaxed as possible. We use well established and proven protocols with a variety of sedation medications administered orally. 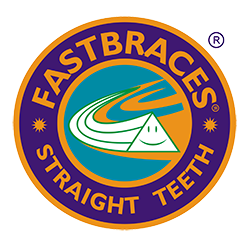 This approach also prevents children from developing a fear of the dentist by creating positive experiences that will likely follow them into adulthood. Our experience with PALS (Pediatric Advanced Life Support) as well as training from the largest sedation dentistry group in the country are just a couple of reasons why our general dentists do such a fantastic job treating children – not just adults – as children have a largely distinct set of needs. They have different airways than adults and, of course, different rates of metabolizing sedatives. Therefore, our general dentists must complete a unique curriculum in order to perform sedation dentistry for children. All Children's Dental Group general dentists have taken their training a step further by completing the Pediatric Sedation Dentistry curriculum through the continuing education organization DOCS Education. We look forward to treating your children in an even more comforting, relaxing and safe environment. As a parent, it's important to research pediatric sedation dentistry fully to know if it is the right choice for you and your child. We welcome you to reach out to us if you are interested in reducing your child’s stress and engaging in more efficient, relaxing dental appointments.